Two new programmes will launch this summer - MenB and MenACWY - which will protect babies and young people against meningitis and septicaemia. We’re taking bookings for our annual conference in September. Keynote speakers include @Jeremy_Hunt, @JaneEllison, CMO Prof Dame Sally Davies and PHE Chief Executive Duncan Selbie. Can Pride marches address health inequalities? 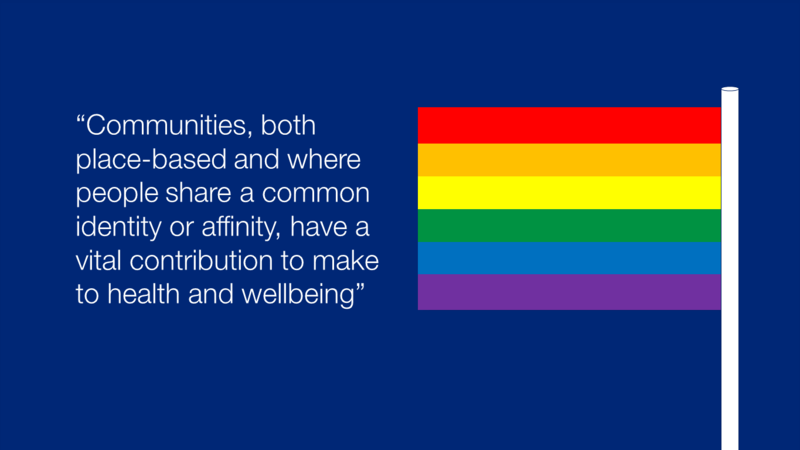 This week @ProfKevinFenton & @DrJV75 discussed some of our latest LGBT projects and explained how communities have a vital contribution to make to health and wellbeing. Public information about national screening programmes, including what’s available through the NHS in England, is now available on the NHS Choices website. Information for professionals is now available on GOV.UK. Our new ‘What We Know Now 2014’ report suggests a growing understanding within the health sector of what is important to people at the end of their lives. In September we launched a new five year global health strategy. This week we published a delivery plan setting out our activity to March 2016. This week a new Lancet commission asked how we can transform climate change from a threat into a to public health opportunity. For more information on the potential health effects of climate change see our report. We’re encouraging voluntary organisations to apply for national funding to enable innovative HIV projects working with high risk groups. Figures published this week show there were 439,243 sexually transmitted infections reported in England in 2014. The impact remains greatest in young people under the age of 25 years and gay men.